New era for public broadcasting - or more of the same? The allocation of $15 million for public broadcasting will be split between RNZ, New Zealand on Air and a new fund targeting "under-served audiences." It's the biggest single boost for public broadcasting for a decade, but will it make a big difference? "It's the beginning of a new era," said broadcasting and digital media minister Claire Curran, announcing the new funding arrangements. She flourished a graph from a report showing how spending on public broadcasting in other countries dwarfs our own. It was "shameful and embarrassing," she said. "This increase ... is just the beginning." Labour went into the last election talking a good game too. 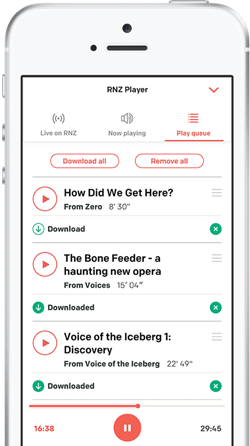 It pledged $38 million a year more for RNZ and public broadcasting funding agency New Zealand On Air to deliver "quality New Zealand programming and journalism modeled on the ABC in Australia." Ms Curran said the bulk of the money would create a new multimedia platform called RNZ+ and a TV channel on Freeview was part of the plan. But once in government, Labour earmarked only $15 million more for public media in the Budget in May. Plans for a TV channel were talked down and are now spoken of as merely "an aspiration" for the future. The new money will now be split four ways. RNZ chief executive Paul Thompson described the $4.5 million added to RNZ's $35 million annual public funding as "a dose of steroids." "We'll make you proud, Minister" said NZOA's chair Dr Ruth Harley, welcoming a $4m boost to its $100 million-a-year budget for local TV shows and digital content. The minister said a further $6m will go into a new "Innovation Fund" to create "more public media content for under-served audiences such as Maori and Pacific Peoples, children and regional New Zealand." Both RNZ and NZOA jointly suggested this idea, but suggested only $2m for the new fund, leaving $8.5m for "stage one of the RNZ+ plan". 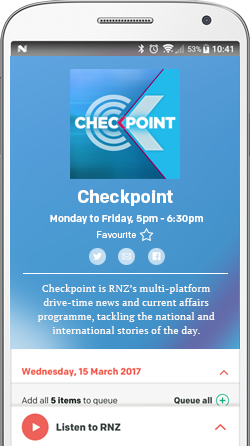 The content will appear on RNZ platforms but it will be made by independent producers commissioned by NZ On Air, the minister said. Other media companies had opposed the funding increase and TV and film production companies jointly called for $20m extra for New Zealand on Air instead. Last year MediaWorks chief executive Michael Anderson claimed RNZ+ could wipe out his business and hired a lobbyist to talk the minister out of it. New Zealand on Air funding is a significance source of finance for some of its local programmes on TV channel Three. He's happy with today's announcement. "It targets the right communities and gives RNZ support and extra funding for NZ On Air makes sense,” he told Mediawatch. The minister's advisory group - after many weeks chewing over the issues - appear to have tried to keep RNZ, NZOA and independent programme-makers happy with a roughly even split of the fresh funds. “Keeping our entities happy is not how I would describe it but I don’t see that as being a bad thing,” Ms Curran told Mediawatch. “This is stage one. We are working on how to make better collaboration happen across the other public media such as Maori TV, Pacific media and state-owned TVNZ,” she said. Clearly more money is welcome for organisations that have not had a substantial boost for years and it could go a long way. (Certainly further than the 200 hours of content local TV producers say they could generate with $20 million more funding). The minister's instance that there will be more money for media in future is also a comfort for them. But in the end this is an incremental change which puts more money into the existing system - not a transformative one. The remaining $500,000 of the new funding will be spent on researching how "Crown-funded media agencies can use their assets more efficiently." Perhaps it would be better if that had been done before the new funding arrangements were made. State-owned TVNZ for example has substantial assets - and big audiences - but no public mandate at all any more. It has no role in the funding revealed today. "Compared with Australia, the $216m spent on broadcasting in 2017/18 is clearly inadequate," Ms Curran said at today's announcement. Her chart - from a PWC report commission by the Ministry for Culture and Heritage - showed Australia spends $1.6 billion on public broadcasting. That's about $67 per person per year as opposed to just under $50 a head here. But Australians get a lot more public broadcasting for their money. They get commercial-free ABC TV channels, on-demand video and local and national radio as well ethnic-focused SBS radio and TV and indigenous channel NITV. The ABC - the model for Labour's policy according to its pre-election manfesto - is entirely funded directly by the government and is accountable for all of it. How much you spend isn't always the issue, but how you spend it.